I'm building a HTPC with this ASRock E350M1/USB3 motherboard. The onboard ATI Radeon HD 6310 graphics had a hard time swallowing a 1080p x264 mkv (~10 GB) so I popped in a discrete Nvidia GT 240 (1024MB). Oddly enough, that also wouldn't play it properly. Both cards had the associated vendor drivers installed and active, I have tried x264 and raw blu-ray to no avail. I know the GT 240 is capable of playing 1080p movies, so what is the hangup? 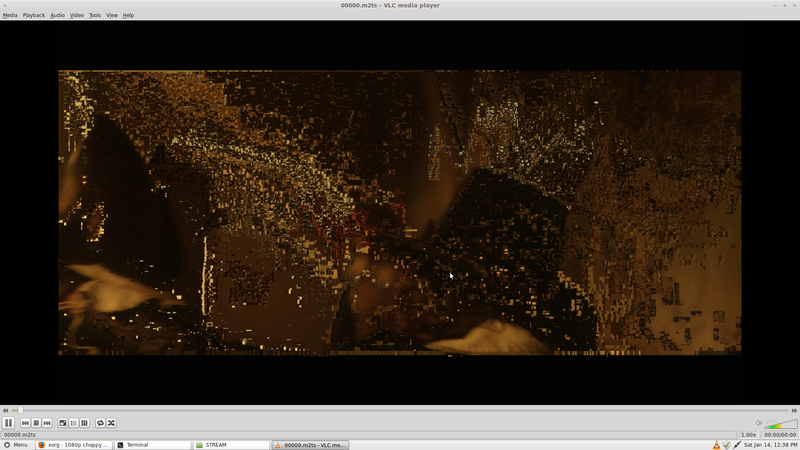 Output from running vlc from the command line on a untouched Blu-ray (m2ts) rip. [0x8d41914] main libvlc: Running vlc with the default interface. Use 'cvlc' to use vlc without interface. (process:2617): Gtk-WARNING **: Locale not supported by C library. OK, so we got the GT 240 working by using VD-PAU which is a magical thing that tells software like nplayer to use the GPU to do the work instead of the CPU. Problem is that VD-PAU is essentially Nvidia only and the built in graphics are ATI based. and it is certainly getting close. Still too many dropped frames to be considered watchable however. Can you confirm if hardware assisted decoding is actually being used at all? The output from mplayer and vlc (if run in a console) would help confirm or deny this if you could add it to your original question. Try to install SmPlayer and go to options, preferences, then on general tab, on output controlers, select gl(fast). Then on performance tab, on decoding threads, select to 8. I did that for my ATI HD 5470 that was playing very bad and got fixed. Tell-me something about how it performs. Not the answer you're looking for? Browse other questions tagged xorg fglrx nvidia hd-video or ask your own question. Why is my video playback always bad? How can I run two screens from two seperate GPUs?